The ‘holiday-hangover’ bug seems to bite me every time I am back from one. I guess I am not an exception but getting back to reality sometimes takes longer than expected. Last weekend was well-spent, exploring a part of my beautiful country. Good food along with new places to see and lots of shopping to do – who wouldn’t like that? Different patterns and techniques, but united by the blue colour of Cobalt Oxide! 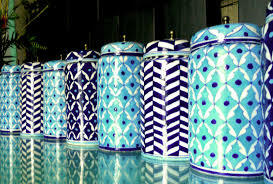 I read this interesting story about Blue Pottery finding a home in Jaipur and here I am, sharing it with you all. 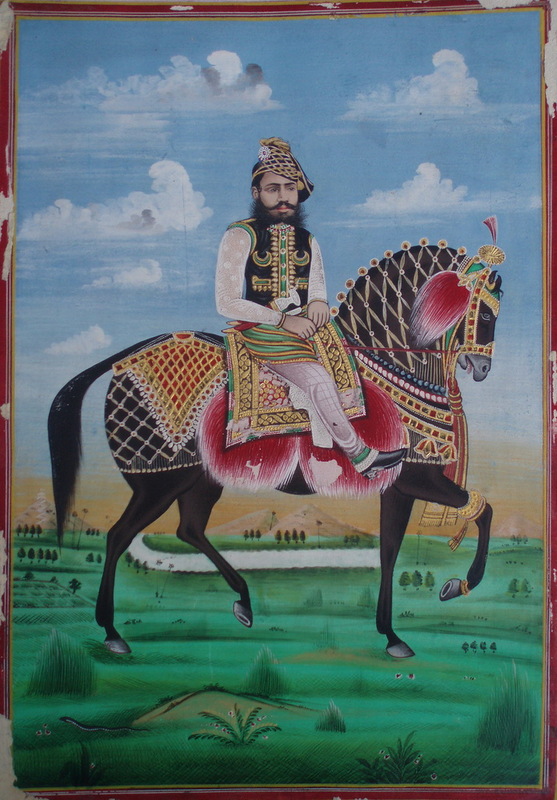 Sawai Ram Singh II, ruler of Jaipur was a connoisseur and promoter of art. During a traditional kite flying festival he was spellbound to see two brothers, Churaman and Kaluram from Achnera (Agra) in Uttar Pradesh winning every competition. Later, the brothers revealed that they had coated the thread with the powder of blue-green glass which they used to make pottery with. Sawai Ram Singh II was impressed by the technique and he encouraged them to start the work in Jaipur. This apparently is how Jaipur got it’s Blue Pottery. 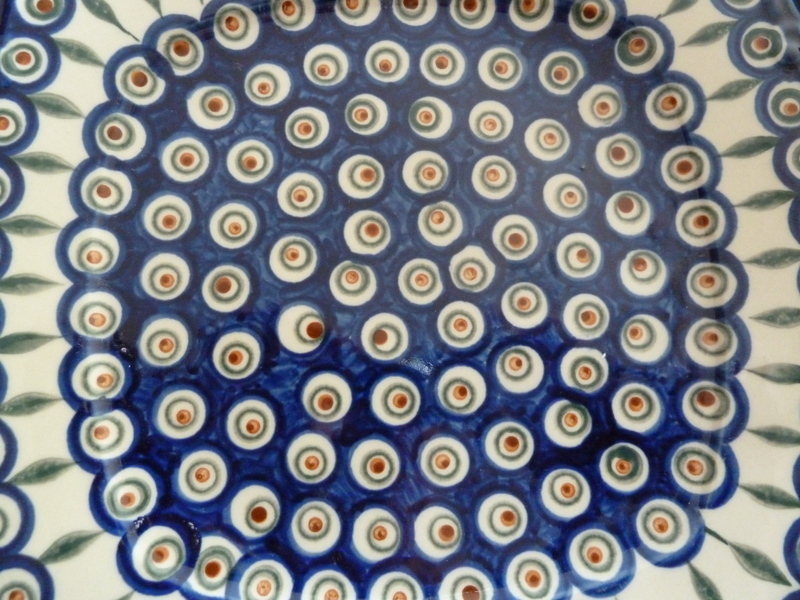 In addition to Jaipur, the other centres of blue pottery in India are Delhi, Khurja in Uttar Pradesh and Karigari in Tamil Nadu. Although Khurja pottery looks very similar to blue pottery from Jaipur, the big difference is in it’s use of red clay. 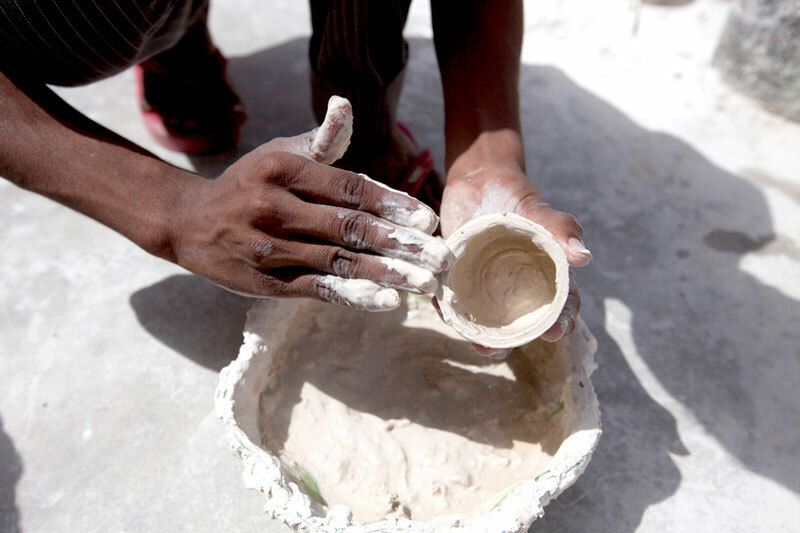 Jaipur blue pottery does not use clay, but a mix of quartz, glass powder, Fuller’s earth or ‘multani mitti’, Tragacanth gum, Saji or sodium bicarbonate. If you’re interested to know more about the process of making and baking the pottery, the challenges faced and other trivia read this lovely article. I found it very informative and interesting. 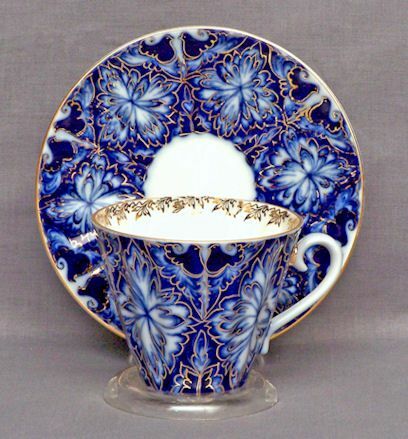 Various traditional and contemporary articles are made of blue pottery, and it has found new uses thanks to design interventions by some designers, advocates of the art form. If you’re visiting Jaipur, do visit Neerja’s pottery. They have some exquisite tables, mirror frames and clocks in addition to the regular serve-ware and jewellery. Another store that is more moderately priced is Banipark based Kripal Kumbh. One of my new discoveries has been Aurea Blue Pottery. Located in Laxman Path, Shyam Nagar, Aurea is a social enterprise, established with the aim of reviving the traditional art of Jaipur’s Blue Pottery and providing livelihood to craftsmen. Make sure to reach their store before 3 pm on Sat and Sun and before 6pm during weekdays. 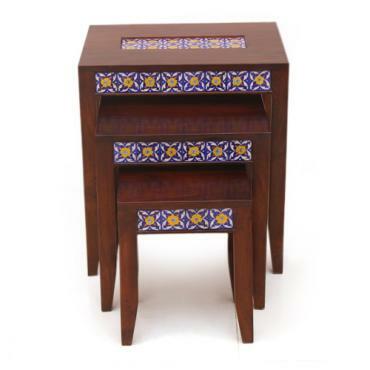 You can shop online too! Neerja Design Studio – Anand Bhawan, Civil Lines, Jacob Road, Jaipur, Rajasthan. Phone: +91-141-4112609. 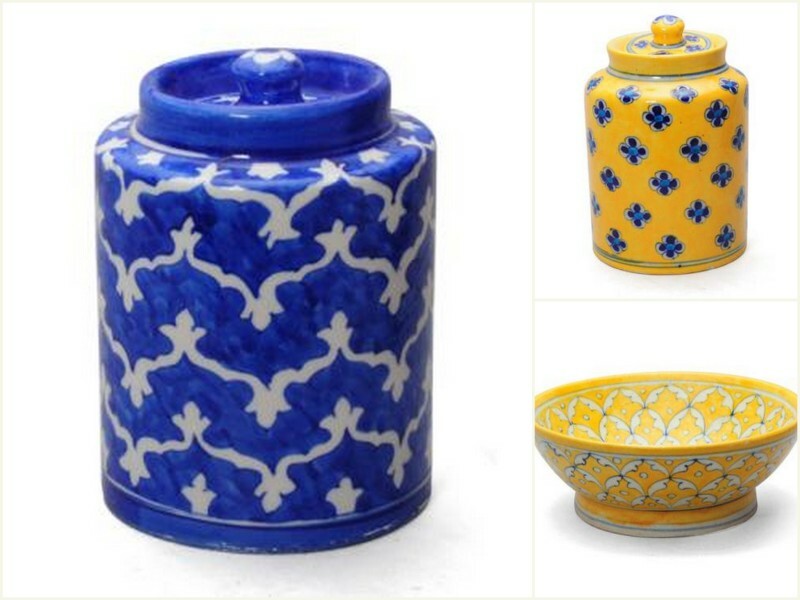 Jaipur blue pottery has inspired many people who have chosen to either use the inspiration in one of their creations or create a masterpiece for oneself. 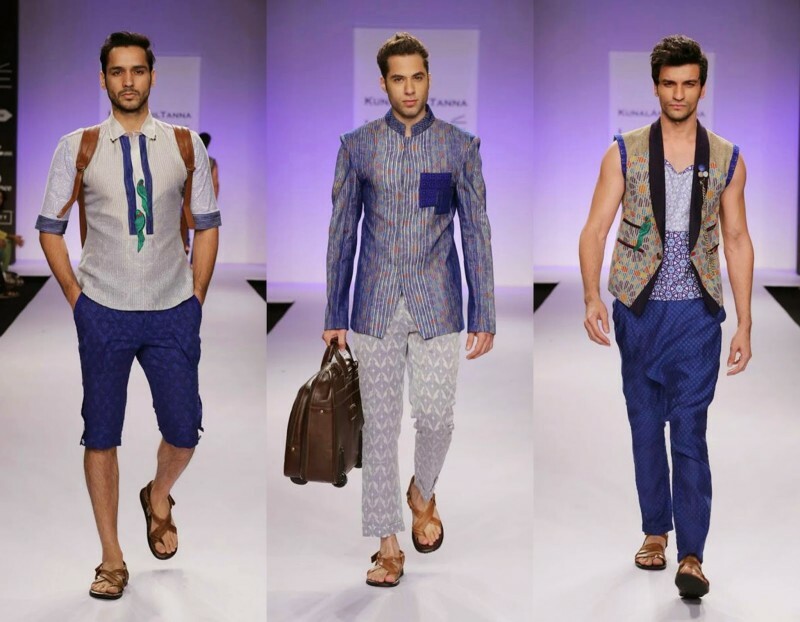 The Spring/Summer 2014 collection of designer Kunal Anil Tanna saw some beautiful designs, both for men and women, all inspired by the beautiful blue pottery of Jaipur! 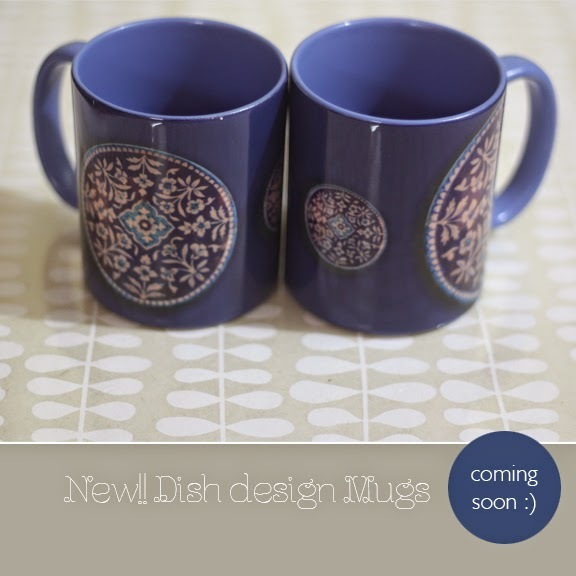 October, a Jaipur based company that designs beautiful bags has used Jaipur Blue pottery in their bags too! 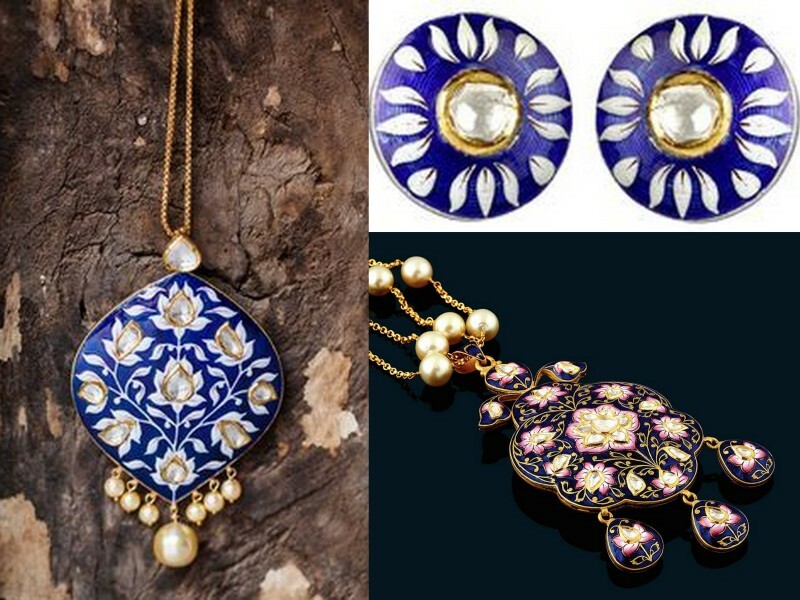 Jewellery – Sunita Shekhawat, a renowned jewellery designer from Jaipur has a blue pottery inspired collection too! 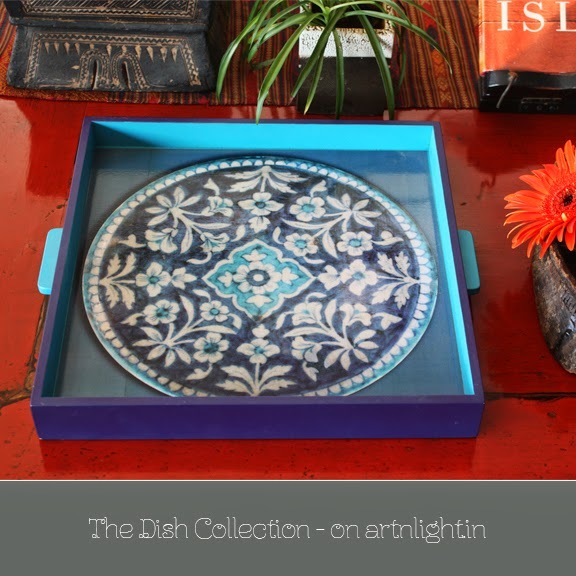 There are in fact many more places and things people have put the blue pottery to use; this art form does not fail to inspire! This craft form, once at the brim of extinction, was revived by Sri Kripal Singh Shekhawat ji – an artist of repute. 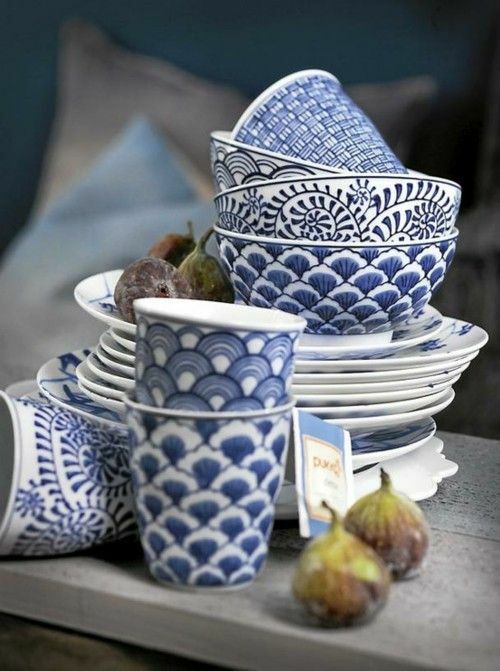 It would be wonderful to see more designers use this beautiful art of blue pottery in their creations – in furniture, in interiors and accessories. While Jaipur Blue Pottery has won national and international acclaim, it is in dire need of interventions at every level – from mixing to baking in kilns, from design inputs to merchandising and exhibitions in order to revitalise this beautiful craft form. I have added a few pieces to my collection, and look forward to using some of the furniture or mirror frames in my new home. 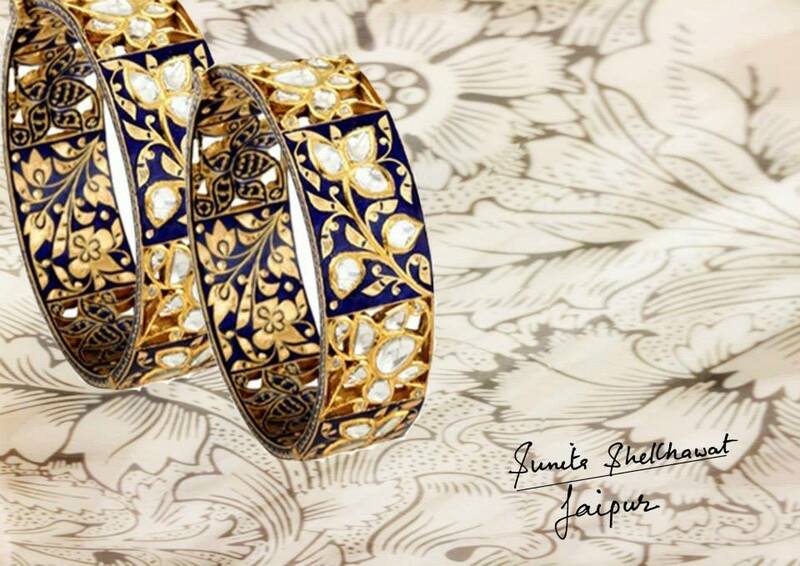 Simply to add the element of elegance – the royal ‘blue’ touch to my home and to tell a story about our travels as well as marvel at the beauty of the Jaipur Blue! Hi! 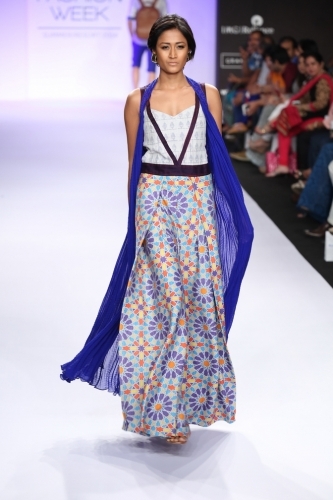 I am a textile designer with a very good hand skills. I love to draw and paint. I will love to paint potteries for you!! I look forward to hear a positive response! !